Designed by a kid, for the kids & the kids at heart! 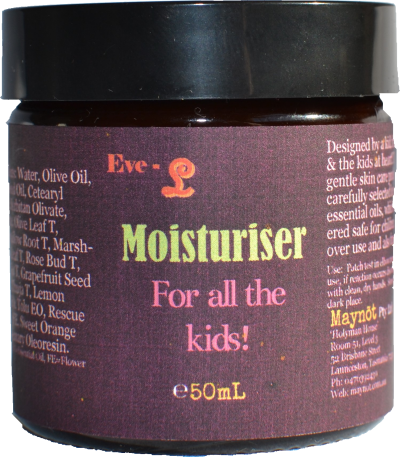 This is a gentle skin care product with carefully selected herbs & essential oils, which are considered safe for children. For all over use and also for all to use! 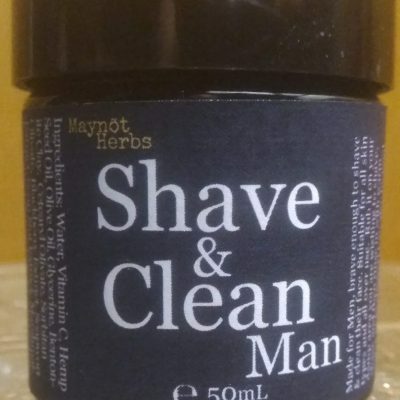 Ingredients: Water, Olive Oil, Hemp Seed Oil, Cetearyl Olivate, Sorbitan Olivate, Glycerine, Olive Leaf T, Marshmallow Root T, Marshmallow Leaf T, Rose Bud T, Green Tea T, Grapefruit Seed Extract, Thuja T, Lemon Myrtle EO, Tolu EO, Rescue Remedy FE, Sweet Orange EO, Rosemary Oleoresin. T=Tincture, EO=Essential Oil, FE=Flower Essence.